You have a great business idea. You’ve done the research, drawn up a business plan, and chosen the perfect name for your company. Now comes the hard part: financing. According to a recent US Bank study, lack of money is a cause of almost 4 in every 5 small business failures. Business loans are an obvious source of funding, but the good news is there are many ways of financing your small business venture. If you own a valuable asset, you may be able to use it as collateral to secure a low-interest, flexible loan. The most obvious examples are a Home Equity Loan (HEL) or Home Equity Line of Credit (HELOC), in which you use your equity or a portion of your equity in your property as collateral. You can also use a vehicle, equipment, or bank savings as collateral for a secured business loan. By using your home or another asset as collateral, lenders are willing to take on a higher degree of risk than for an unsecured loan. Kabbage provides lines of credit of up to $150,000 for any business expense. The terms are easy to understand, and there are no hidden fees. BlueVine provides flexible credit lines ranging $5,000 to $2.5 million. It only charges fees when you withdraw money for your business. A business line of credit allows you to borrow up to a certain limit and only pay interest on the amount of money you actually borrow. Most lenders offer borrowers the flexibility of drawing on their line of credit on an as-needed basis. Small lines of credit of up to $100,000 are usually unsecured. But if you’re approved for an amount of more than $100,000, you may be required to put up collateral. Lendio is an online small business loans marketplace that brings business owners and lenders together on one platform. The site is free to use and offers more than 10 loan programs for every business need. LoanBuilder offers customizable short-term business loans, giving borrowers the freedom to design their loans according to their specific needs and circumstances. Online lending services are a popular alternative to traditional bank lending. They offer speed, ease, and convenience. It typically takes less than an hour to complete an application (not to mention the time saved not having to get in your car and meet your lender face-to-face) and approval is usually granted within a few days. An angel investor is a wealthy individual who makes a one-off investment in a startup in return for equity or convertible debt. Unlike venture capitalists, angel investors invest their own money rather than other’s money. According to the US Securities and Exchange Comission (SEC) guidelines, an angel investor must have a minimum net worth of $1 million and earn annual income of $200,000 or more. In recent years some angel investors have organized themselves into angel groups or networks. The typical angel investor is a friend, relative, or mentor of the business owner. If you have a close friend or relative with spare cash, you might want to consider asking them to lend you some money to help start your business. Borrowing from a loved one can save you the hassle of going to a lender and the cost of paying back interest. But be careful: while your loved ones might embrace the prospect of helping you with your business venture, failure to repay them could damage your relationship. Credit cards are a viable source of funding for small businesses that are just starting out and need quick access to a small amount of funding. Some credit cards offer no-interest introductory periods, making them a good option for handling initial expenses without accumulating debt. If you’ve just opened your business and want to build up credit before applying for a formal loan, taking out a credit card and meeting your monthly payments is a good way of achieving this. Microloans are loans of up to $50,000 issued by individuals or micro-lending institutions instead of banks and credit unions. They are designed to help small businesses with limited credit history and capital. Some microlenders lend money specifically to women, minorities, low-income applicants, or other groups perceived as being at a disadvantage with traditional lenders. The Federal Government’s Small Business Administration (SBA) runs a program to help match businesses with microlenders. Some peer-to-peer (P2P) lenders also match borrowers with microlenders. The SBA supports more than 800 partnering lenders, community development organizations, and micro-lending institutions by reducing their risk and making it easier for them to access capital. It operates Lender Match, a free online tool that connects small businesses with SBA-approved lenders. SBA-guaranteed loans can be used for most business purposes, although lender terms and requirements may vary. Only for-profit businesses located in the United States can qualify for an SBA loan. The business owners must have invested their own time and money in the business and must have exhausted other financing options. Lending Club is among the leading P2P lenders, offering a streamlined application process with approval in minutes and funding within a few days. Social lending or P2P lending is a form of financing offered by sites like LendingClub that matches borrowers with individuals interested in funding them. 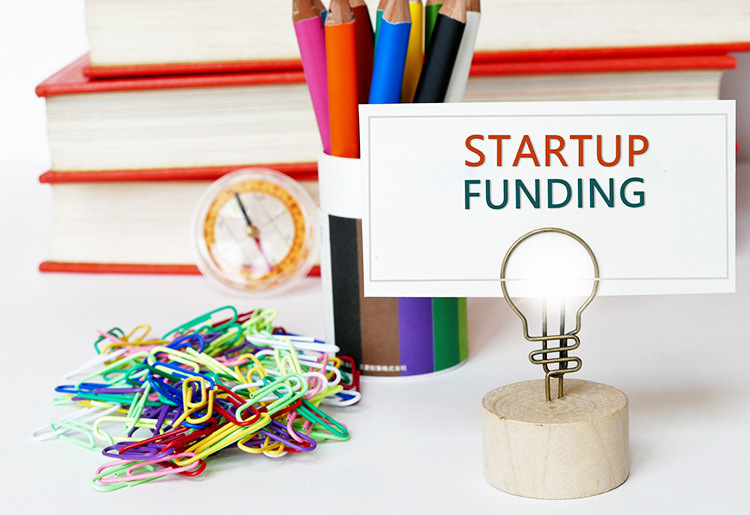 Another type of social lending is crowdfunding, but instead of paying interest on the loan, the business owner typically gives the investor an equity share or sends them a product in return for the investment. Financing can be the most stressful thing about running a small business, but the good news is that there are many options out there. For some businesses, a loan from a conventional or online lender might be the best option. But if you prefer not to take a loan or you simply don’t meet the requirements of traditional lenders, there’s no shortage of creative financing options for you to explore.